Ring of Elysium is a battle royale shooter developed by Tencent Games. You’ll play as a tourist (of 100) who’s trapped at Mt. Dione, players need to get on to that last rescure helicopter by any means, in other words, you have to kill others, nothing will survive the upcoming winter strom. Ring of Elysium is now available on Steam for free. Blackout is the battle royale mode of Call of Duty Black Op 4. Call of Duty: Black Ops 4 Blackout is currently on private beta for those who has pre-ordered the game, the private beta ends until 12 PM PT / 3 PM ET / 8 PM BST and a open beta might follows. The full game will be released worldwide on October 12, 2018, for Microsoft Windows, PlayStation 4 and Xbox One. Firestrom is the battle royale mode of Battlefield V, players will wage war in a ring of fire that slowly shrinks the battlefield. Battlefield V is currently on open beta on PC, Xbox One and PlayStation 4, battle royale mode firestrom is currenly not available. Battlefield V will be released worldwide for Microsoft Windows, PlayStation 4, and Xbox One on November 20. Dying Light: Bad Blood is a standalone battle royale game of Dying Light, which is not a typical battle royale game, both PVP and PVE elements of Dying Light are incooperated with all those parkour skills. Early access is now available on steam. The developer says the game will transition to free-to-play on pc and consoles when it leaves early access. Darwin Project takes place in a dystopian post-apocalyptic landscape in the Northern Canadian Rockies, where a half science experiment half live-entertainment is launched and it challenges 10 participants to survive the cold and fight to the death in a treacherous arena. 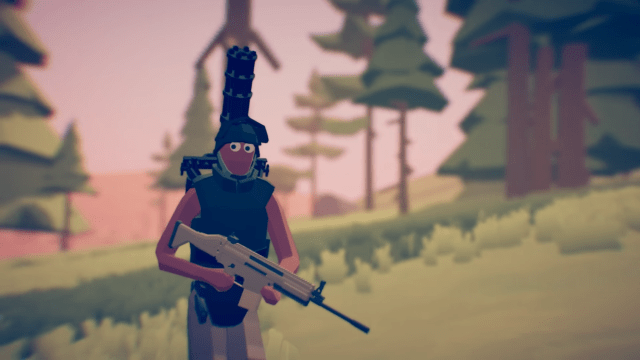 It’s a April Fool Parody of the Battle Royale genre, it’s silly, a little bit buggy but really awesome. JUST TRY IT. it’s curently available on Steam.